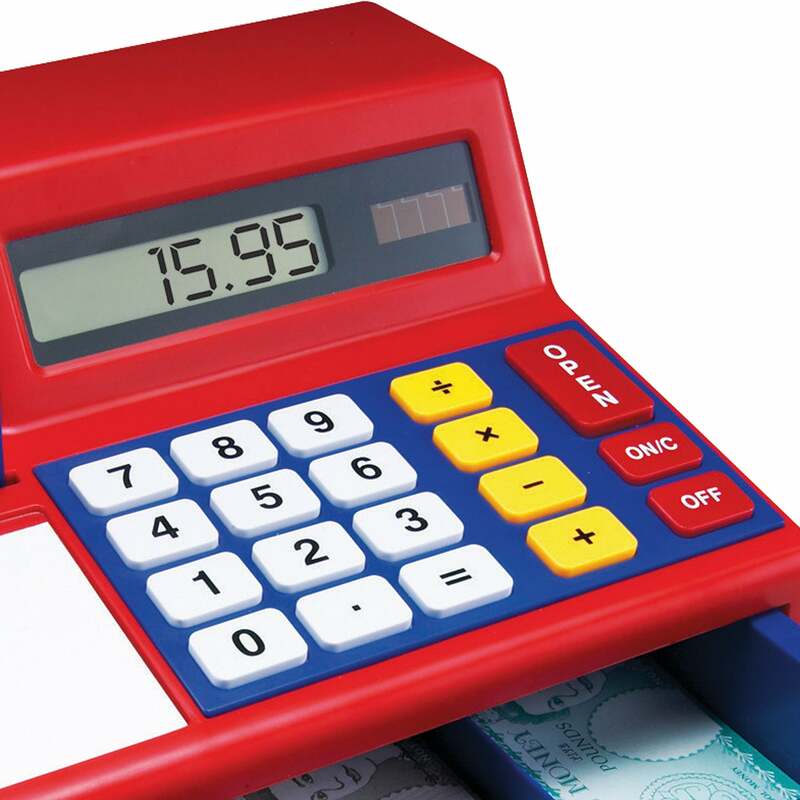 Toy Cash Register | Great Little Trading Co. 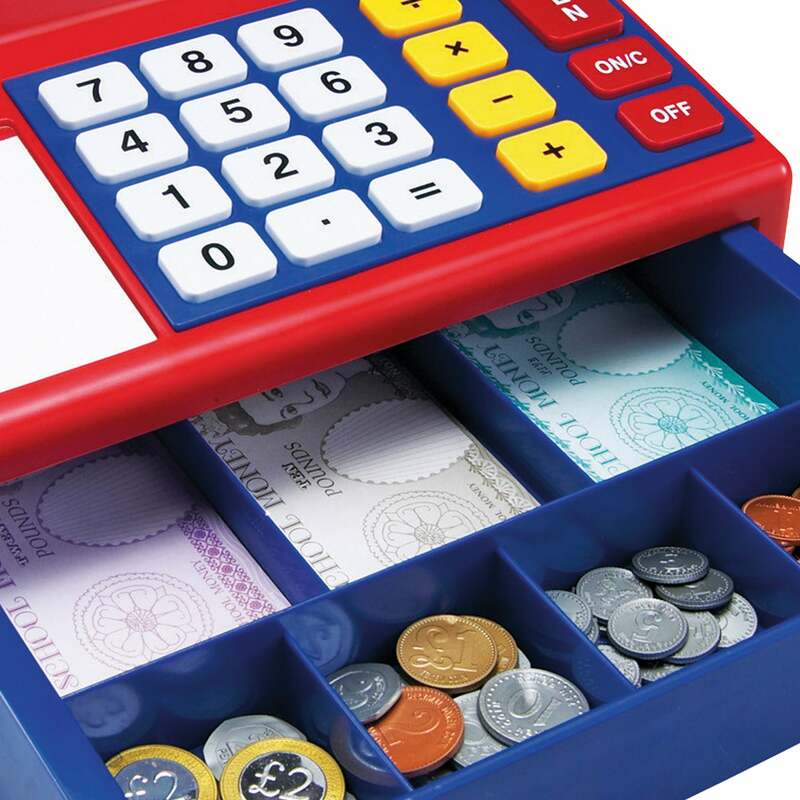 This award winning toy cash register features a working, solar-powered calculator, oversized buttons and digital display.It's made from heavy-duty plastic; includes activity guide, toy credit card and money set. As featured in Mother & Baby Magazine. 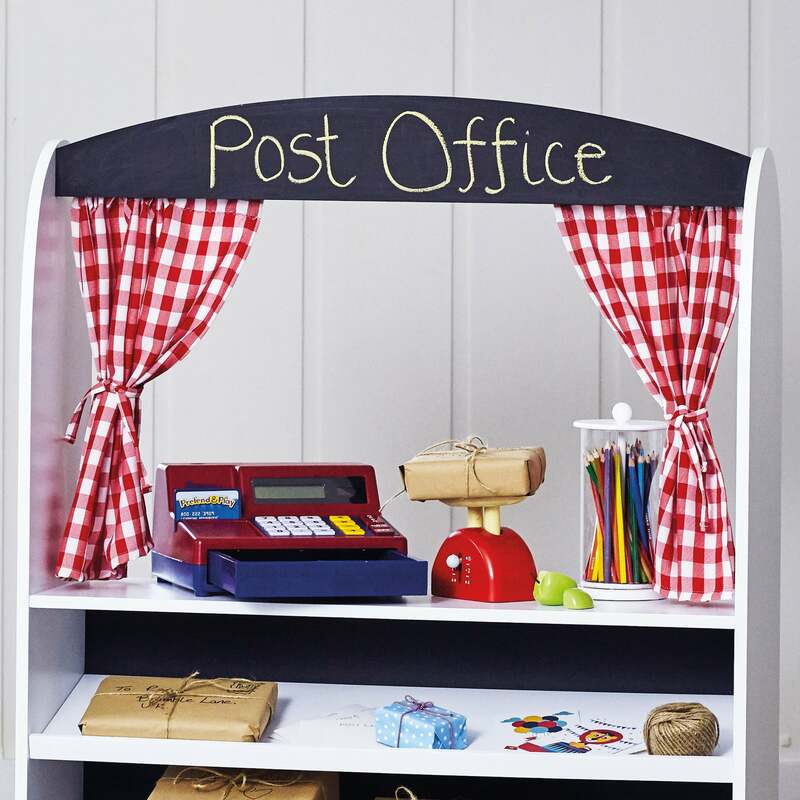 It's a great way to encourage pretend play and to teach children the value of money. It's the perfect partner to our Play Shop & Theatre; you can also pair it up with our toy groceries, a shopping trolley or some shopping baskets.